GTL Infra, together with Chennai Network Infrastructure Limited has a combined tower portfolio of more than 27,800 towers spread across 22 telecom Circles in India, serving all the major telecom operators. Reliance Jio Infocomm Limited (“Reliance Jio”), a subsidiary of Reliance Industries Limited (RIL) and the only pan India operator with BWA spectrum preparing to launch 4G services, and GTL Infrastructure Limited (“GTL Infra”), a Global Group enterprise, engaged in the business of Shared Passive Telecom Infrastructure in India, announced the signing of a Master Services Agreement (MSA) for tower infrastructure sharing. 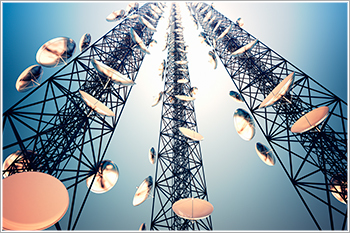 GTL Infra, together with Chennai Network Infrastructure Limited (CNIL), has a combined tower portfolio of more than 27,800 towers spread across 22 telecom Circles in India, serving all the major telecom operators. The company has a pan India tower portfolio that is balanced across key growth regions of Metros and B & C class circles.